I am just back from Beirut where I saw my beautiful mother and of course every time I visit her, I ask her to cook something delicious for me. 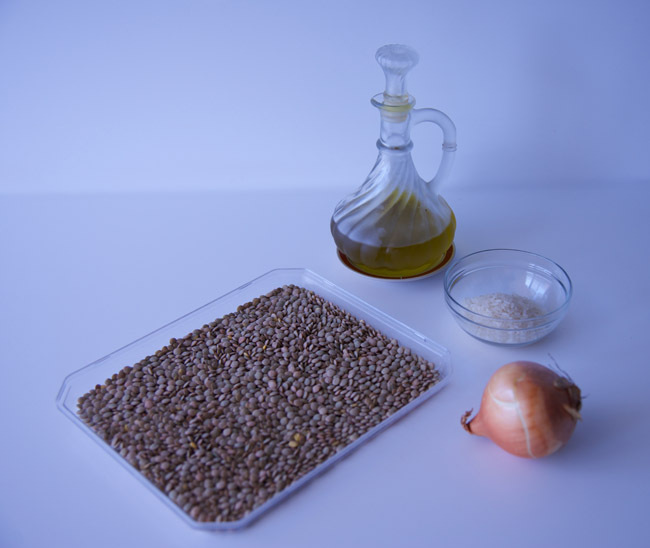 This time I was modest in my request and asked for mujaddara, a simple lentils, onions and rice dish that is a staple of Lebanese Christians during Lent and once also a staple on spring cleaning days when the lady of the house put the lentils to cook while she and her maid/s beat the dust out of the carpets before putting them away, washed the floors and generally did a deep clean everywhere preparing the house for the summer months. I still remember the beating of the carpets although I don’t remember the mujaddara — mujaddara is the mushy version, almost like a dip while mudardarah is the dry version, a little like risotto although not at all wet — on those days! Anyhow, my mother now whizzes the lentils, rice and onions with a hand blender but in the old days she cooked them down to a mush over a low heat. And my mother being a totally wonderful woman, she obliged my whim and prepared mujaddara for me and as you see from the picture of the ingredients above it couldn’t be more frugal as a dish. I resisted instagram for years but finally gave in last week and since then, I have been having fun taking pictures and trying out the different filters. They must have improved them from when they launched as I remember not liking the effects then whereas I do now although not all. In any case, today I thought I would post a recipe in pictures and as I was looking back at the pictures, I thought why not post the recipe here. So here it is together with the instagrammed pictures. When I bought the baby carrots, I had intended to cook them like I often do new potatoes in olive oil with saffron and parsley but as I was looking through my Moroccan recipes, I came across one for sweet potatoes with cumin, ginger and paprika and coriander and I decided to go with that substituting my baby carrots for the sweet potatoes. I may have inadvertently started a trend. I was doing a radio interview the other day about Modern Mezze ahead of my participation in the Emirates Literary Festival and as I was flicking through my book, I remembered that I had included roasting chickpeas as a way to supplement a home-prepared mezze and I wondered if the roasted chickpeas that I have been seeing on menus in the last couple of years or more did not have their inspiration in the photo and quick recipe below. It sounds presumptuous I know and I am sure there are people who wrote about roasting chickpeas before I did — must check in Rayess’ book, also Ibrahim Mouzannar‘s. 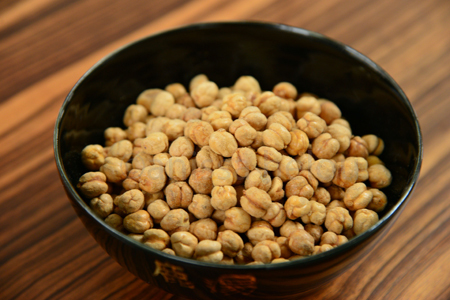 Also it may well be that the trend for roasted chickpeas came from somewhere else because they are a heatlhy snack and chefs are more and more concerned about offering healthier choices. 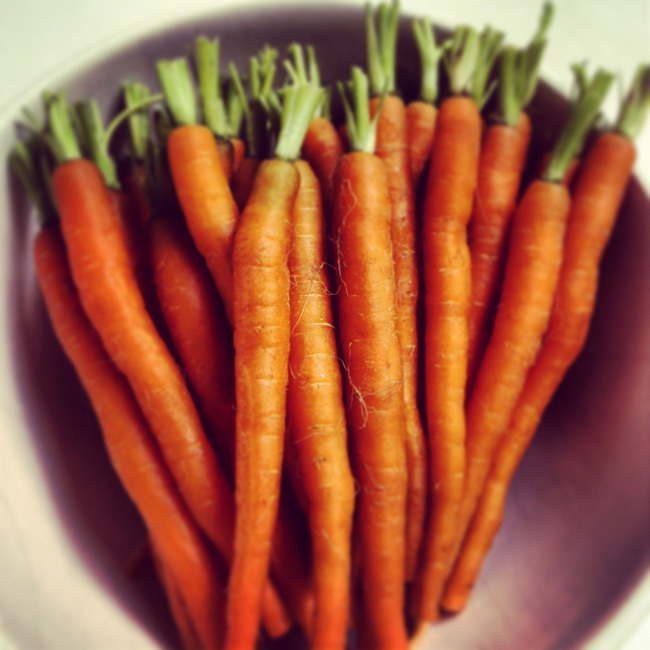 January is the month to eat healthily. All the papers, magazines, TV and radio programmes are full of advice for various detox diets to help you make up for the excesses of the holidays. I have to say I had wonderful holidays with hardly any excessive eating save for a whole panettone made of milk chocolate studded with roasted hazelnuts and a whole culatello. Both were given to the friends I was staying with and both were irresistible. Otherwise, we were fairly restrained. 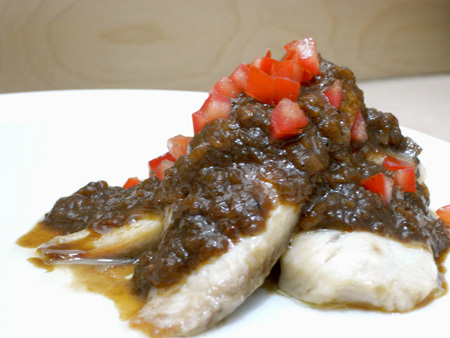 Regardless, the chocolate and culatello had their undesired effect so I am adding to the detox advice with this unusual Saudi recipe for fish served with tamarind sauce that is both slimming and good for you.